The ArcGIS Content Team continues to enhance the Community Basemaps by incorporating new and updated content to the ArcGIS Living Atlas of the World, enhancing the basemap content collection. Thanks to the user community, the World Topographic Map has been updated with new contributions for North America, Canada and select locations in Poland and Australia. The refresh of North America is significant and includes updates with expanded coverage along with new contributions. With this refresh of North America, we incorporated over 100 community contributors’ vector data into our central database. The benefit of this vector format is our ability to transform it to our data model, co-mingle it with the rest of our commercial and open sourced data and produce a cache with our master template. Community areas of interest are integrated seamlessly alongside data from other sources. As detailed in aprevious blog, we expanded the use of community data into other basemaps including Street, Canvas, and the Reference Overlay services. This production through our “Basemap Factory” also allows our contributor data to be displayed at smaller scales beyond ~1:9k (out to ~1:288k where applicable). This factory production model is also designed to reduce the time it takes for new communities or updates to existing contributors to be published in our map going forward. This North America refresh includes the new cartographic design and updates for Canada from 1:2M – 1:288K! In addition to North America, we have both a new contributor and an update in Poland. 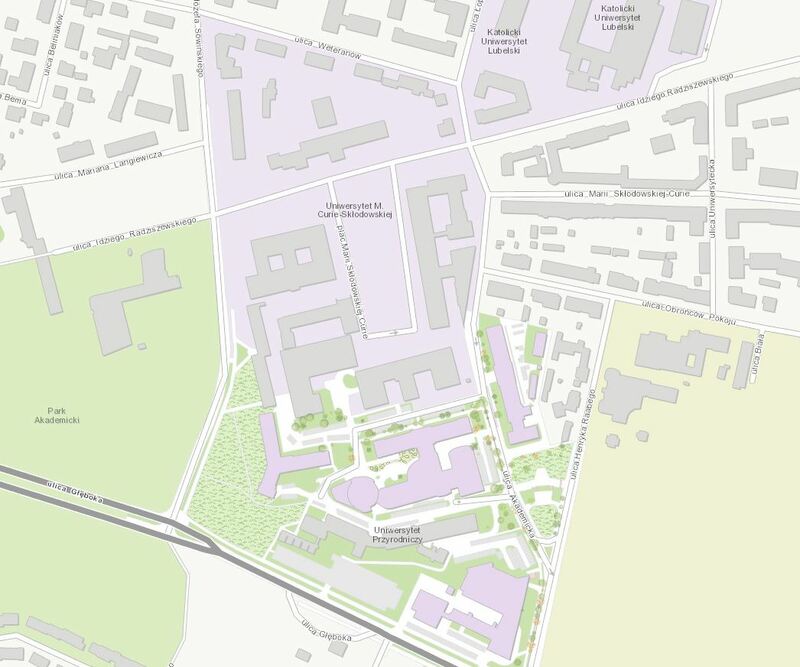 Our newest contributor in Poland is The University of Life Sciences in Lubin, which has provided updates that bring the campus alive with the addition of sidewalks, trees and building footprints. The University of Life Sciences in Lubin is comprised of seven unique faculties including Agro-bioengineering, Veterinary Medicine, Biology and Animal Breeding, Horticulture and Landscape Architecture, Production Engineering, Food Science and Biotechnology, and Agricultural Sciences. Academic traditions at this university date back to 1944. We also welcome an update from Leśny Zakład Doświadczalny, Rogów, Poland. 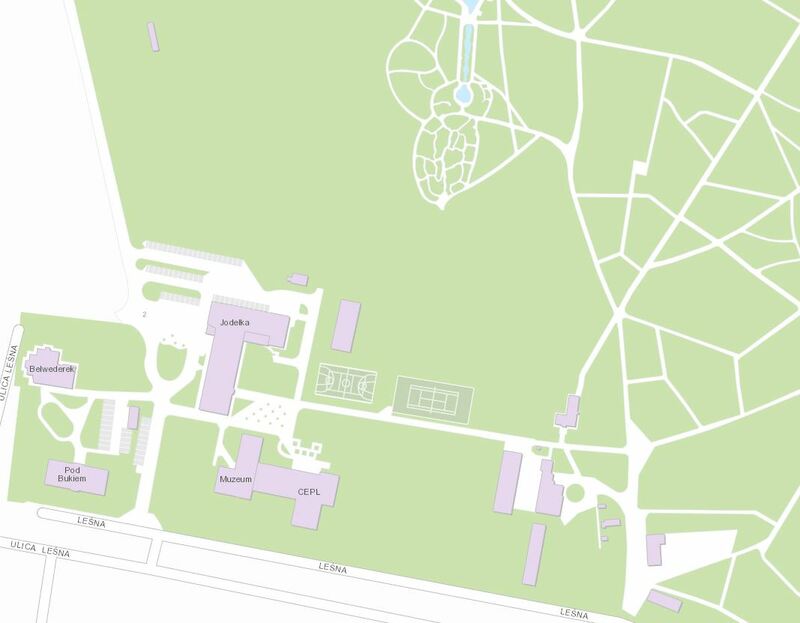 Updated content includes a detailed sidewalk network, ponds, building footprints, and sports fields. Leśny Zakład Doświadczalny is an agricultural university and serves as the Center for the Education of Natural Forests and Arboretum that houses a collection of plants and trees from all over the world. Our next newest contributor lies 9,864 miles (15,875km) away in Tasmania. Launceston, is one of Australia’s oldest cities. Launceston is a city of “firsts”. It is the first city to use anesthetics, the first Australian city to construct underground sewers, and the first Australian city to be lit by hydroelectricity. These contributions were made through the Community Maps Program. For more information visit theCommunity Maps Program Resource Center. Another successful User Conference is behind us. This year conference attendees were introduced to the Living Atlas of the World. The Living Atlas combines reference and thematic maps with topics relating to people, earth, and life. It is a collection of content communities assembled by Esri, the User Community, and our Partners all over the world. Community basemaps are an integral part of the Living Atlas. Thousands of ArcGIS users have improved the coverage and quality of our basemaps by providing access to their map data. The World Topographic Map remains the “flagship” basemap in the Living Atlas collection and the Community Maps Team continued to encourage participation and explain the many benefits of contributing throughout the conference. There were several opportunities for conference attendees to learn about Community Maps. Our popular “Getting to Know Community Maps” was presented again this year. This presentation highlighted what Community Maps is, how to participate, and the benefits of contributing to the program. This presentation also included a demonstration of the new and improved Community Maps data prep tools that were released just before the conference in July. A Demo Theater was conducted that showed attendees how to register and upload content through our Community Maps Contributor App. A Community Maps Special Interest Group (SIG) was held during the conference. The SIG included the Community Maps Timeline and a special user story about how Fairfax County, VA has applied the benefits of the program to the county and its residents. 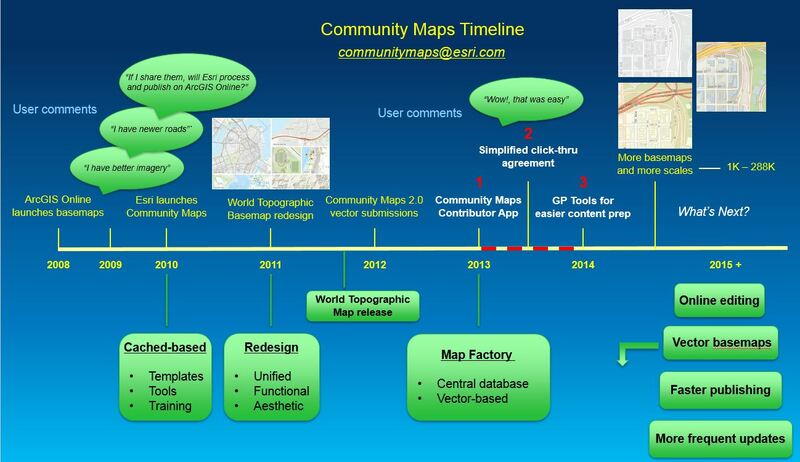 The Community Maps Timeline stepped through the program changes and user-friendly functionality enhancements that have been introduced since ArcGIS Online launched Esri’s suite of basemaps. The timeline included a glimpse of what is to come in 2015 and beyond. The video below walks through the timeline. Fairfax County’s GIS Applications Manager, Brendan Ford showed us how the county has implemented Community Maps in their daily operations. Fairfax County in the State of Virginia has been a contributor to Esri’s Community Maps since 2010. 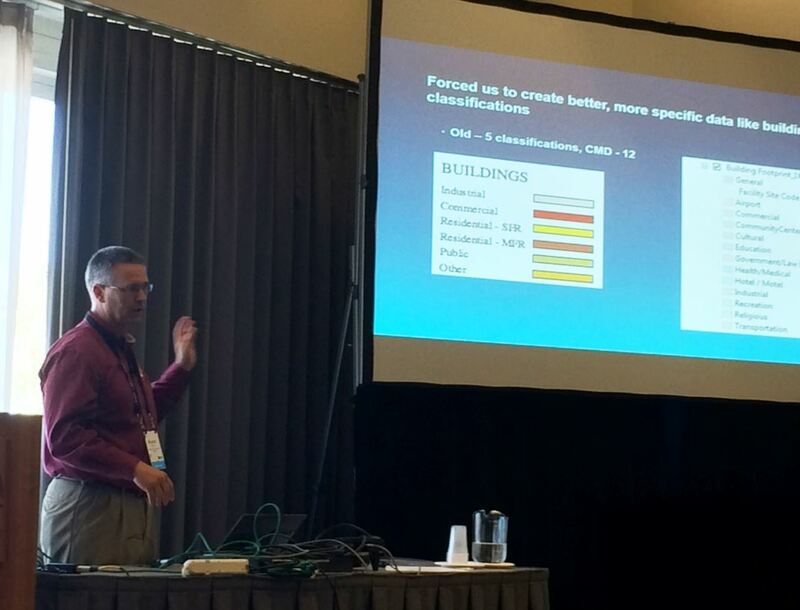 Brendan was drawn to the program by the prospect of using ArcGIS Online basemaps instead of building their own basemaps to support applications. 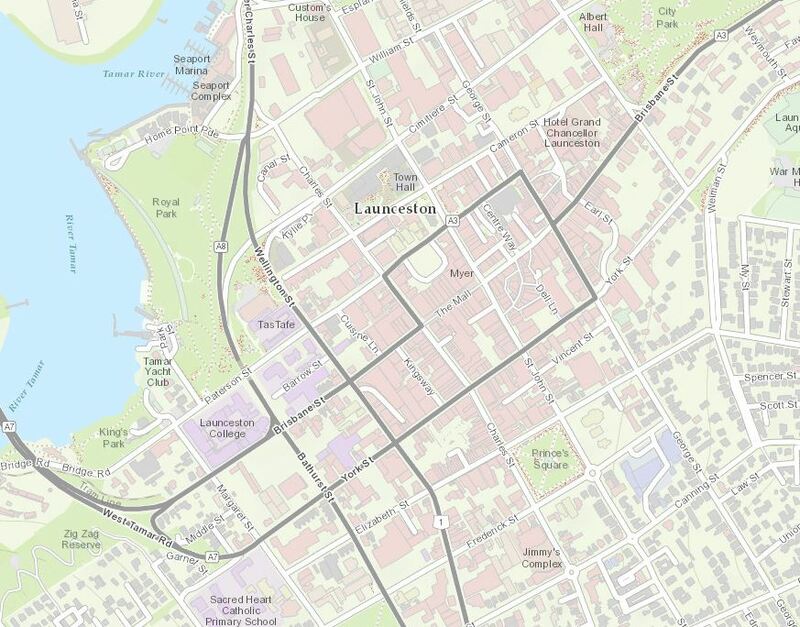 Before Community Maps, Brendan and his team spent a considerable amount of time developing basemap content with their first released web applications. Due to the subjective nature of the basemap cartography, where they started from scratch on symbols and label fonts, they struggled to develop a consistent basemap usable by multiple applications. Using the high-quality cartography of the World Topographic Map on ArcGIS Online was an easy choice for the new versions of their web mapping applications. You can learn more about this story be reading the Fairfax County Virginia Community Maps Success Story. 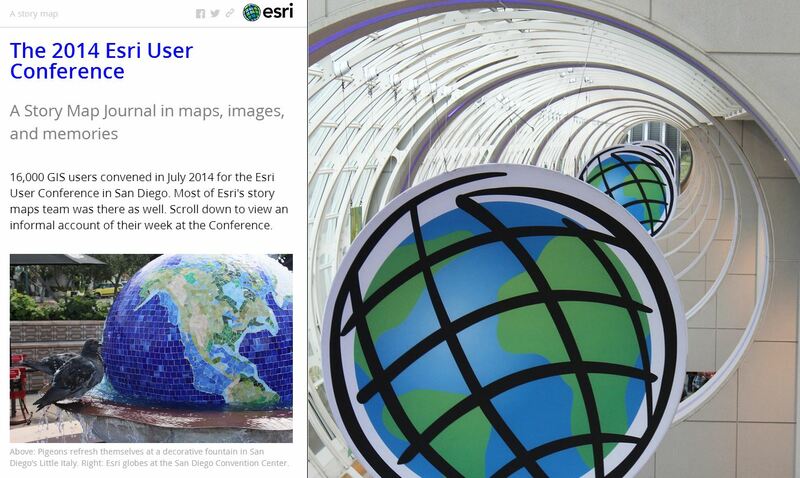 For an overall look at the 2014 Esri User Conference, visit the following Story Map Journal. You can learn more about Community Maps by visiting our product page and by visiting our resource center. Many answers to your questions can be answered by visiting the Frequently Asked Questions page. You can email the Community Maps Team atcommunitymaps@esri.com for additional information.